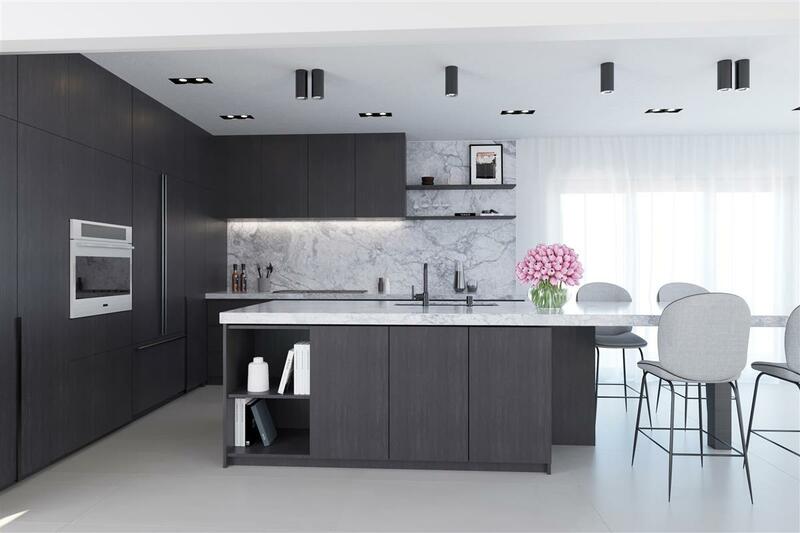 A black kitchen doesn't have to feel heavy. 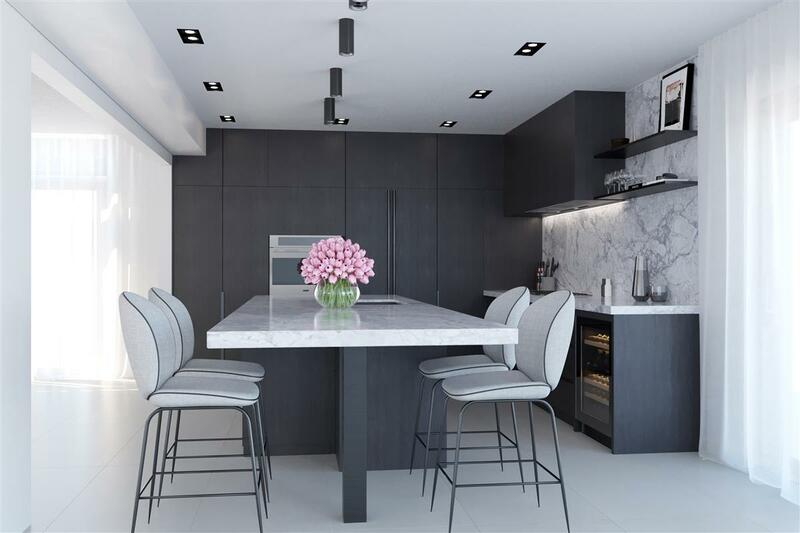 One of our design options for a client, this kitchen concept features open shelving which provide the perfect place for displaying art and special items. 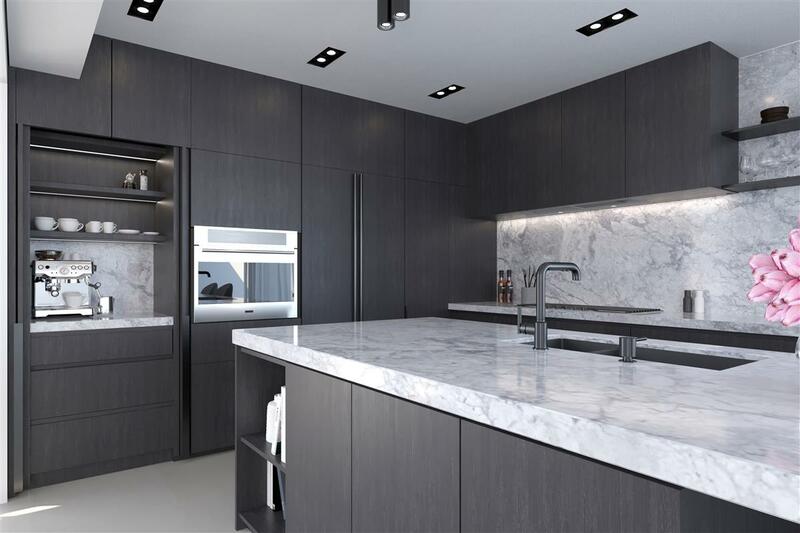 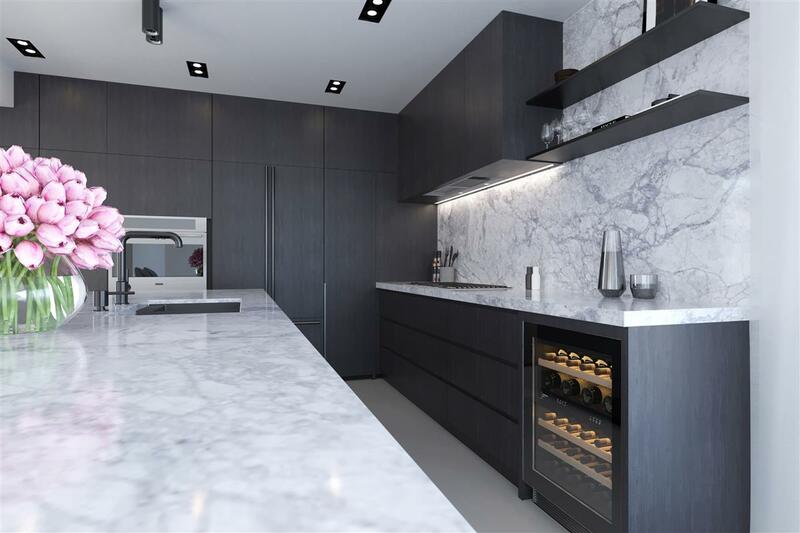 The lighter toned marble backsplash and countertops as well as the floors help to balance the dark black cabinets, creating a sense of harmony.